You are running the latest and greatest operating system by Microsoft, Windows 7, but are you wondering how you can optimize Windows 7? No matter not much speed your computer’s processor possesses or how much RAM your computer boasts your computer will over time become slower. It may take a while for you as the user to notice the slow computer changes but remain vigilant as these slow computer changes can be avoided if you optimize Windows 7! There are of course habits that contribute to a slow computer. For example, having dozens of browser windows open with Microsoft Word and a game like Starcraft II running simultaneously will slow down you computer. Even if a Windows 7 user does not have a lot of active programs open there can still be background programs like an anti-virus program that can slowdown your computer or malicious programs accidentally downloaded from the Internet are some examples of how background programs may slow down your computer. In any case you can optimize your PC without having to purchase and install new hardware. Delete Unused Programs – While Windows 7 does pack a lot of features the operating system does not contain every conceivable use for a computer forcing users to download third-party software for esoteric purposes. Downloading a font-creation tool or a photo editor is fast and easy, but forgetting to delete the program after use can also be as fast as easy as downloading the software. Over time a collection of these programs causes bloat and can slow down your computer. Having a few or even a dozen programs that you only used once or just a few times can significantly slow down your computer start-up time and drain the memory from your RAM. 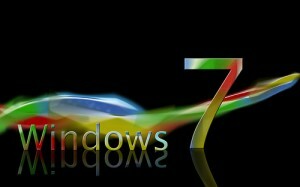 Simply go through your Windows 7 programs and delete the ones you no longer have use for. Defragment Your Hard Drive – Your Windows 7 operating system may look optimized from a graphical standpoint but there is a lot of computation going on in the background with each click. Your hard drive is saving, editing and organizing data at blazing speeds and sometimes saves information in an unoptimized way. Simply preform a disk defrag to allow your computer to organize all of your data including photos, videos and documents in a way that your hard drive can access more easily. Instead of having the data like photos stored in different physical location on your hard drive disk defrag organizes this data in sectors right next to each other allowing your computer to access the information more quickly which ultimately optimizes your PC by allowing Widows 7 to perform faster. Reboot Regularly – Windows Vista received a lot of criticism for having slow start-up, reboot and return from sleep times but Windows 7 is a much more optimized operating system in regards to reboot times. Rest assured that you can reboot your computer more quickly especially if the previous actions are completed. Rebooting your computer wipes your Windows 7 RAM clean and allows your computer to run more efficiently. If you leave your computer on for a week without rebooting data from 5 or more days of previous use may still be stored and stuck in your RAM preventing the space from being used by a program you are currently accessing. This lack of RAM space slows down how fast programs can operate. Make sure to reboot your computer at least once a week to keep an optimized Windows 7 PC.